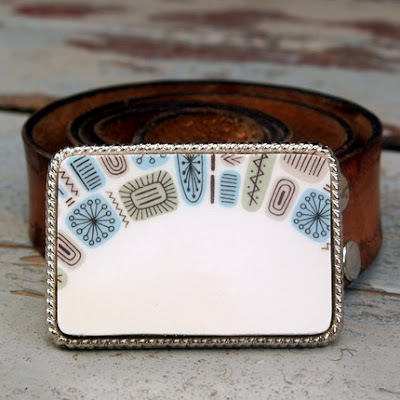 The Broken Plate Pendant Company specializes in giving new life to old dinnerware, ceramics and anything else in my way. I love Juliet's intro on her etsy shop. Giving new life to ignored, thrown away, stuck in the junk drawer jewels is a big part of the diy phylisophy that I am still trying to grab my hands around. Juliet is having a great contest on her blog in which you have to guess the amount of plates she has in her basement! I can only imagine the stories tld around al of thse plates..the meals served...the day one had opened up a big gif box to see a set of plates.the days of glory for these gems. juliet has made them honorable again by making beautiful pendents with them. 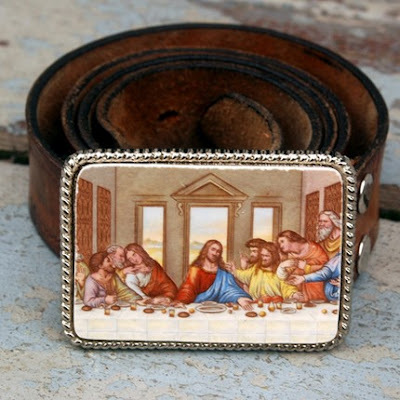 I particularly love these new belt buckels. I really need to get one...school starts on monday...meaning the paychecks are a coming! What a nice surprise! Thanks so much! 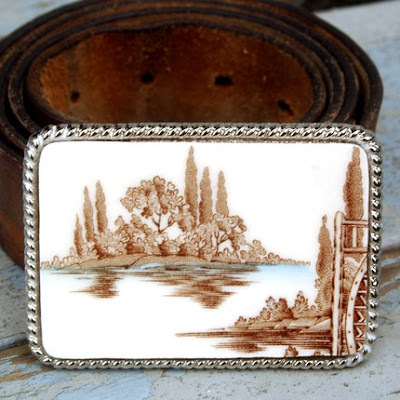 I've been giving life to old plates for a long time, and I even recognize some of these belt buckles as plates I've used in mirrors and frames! Great idea. 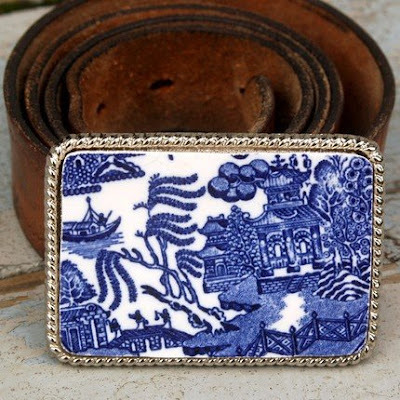 I bought a similar belt from Out of Hand last Christmas—I think the buckle was made of license plates. Anyway, always a great gift. For me.